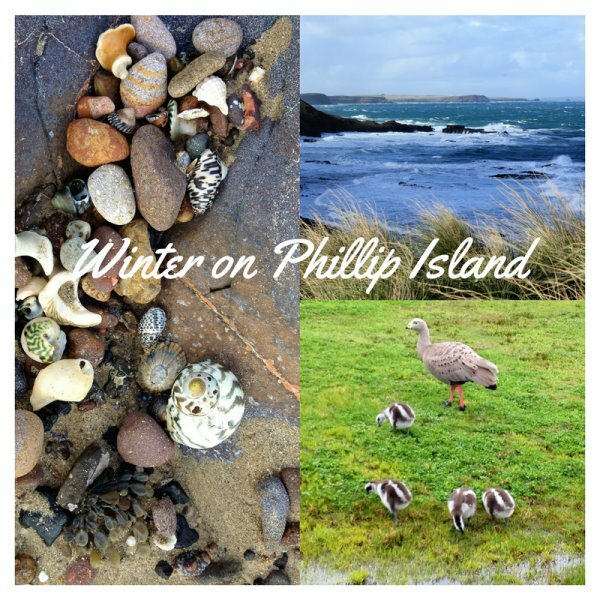 Phillip Island isn’t just a summer destination. Visitors only need a warm jacket to enjoy what the island has to offer. And there are some things you don’t want to miss that don’t happen in summer. Such as roaring fires at the wineries with a glass of wine, a food platter and live music. Or a bracing walk along a beach after a storm. One of the main attractions in winter is the wildlife – the whale migration, the hatching of the Cape Barren geese chicks plus the echidnas are out and about looking for a mate. Looking for a casual dinner we decide to turn east and cross the bridge to the Westernport Hotel in San Remo. The bistro has big windows with views over to the Phillip Island Bridge. A friendly staff member gives us menus and we order at the bar. The menu has several gluten free options and I can’t go past one of my favourites – lemon pepper calamari on rocket leaves with tartare sauce. 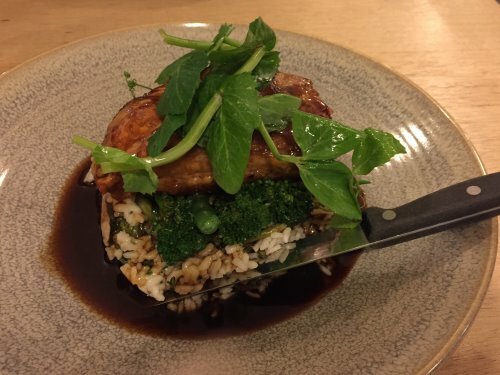 When my main course arrives I realize I’ve overdone it as the serving of pork belly with asparagus and mushroom risotto is big! But I manage to get through most of it nonetheless. The bistro is very family friendly with a children’s menu including a free jelly cup. And children’s meals are served first which is a boon to parents. While they wait they can entertain themselves with a $2 activity bag. If you want to stay longer, there is live music in the front bar from about 9 pm onwards. In summer I would imagine the Westernport Hotel Bistro is busy so a reservation would be a good idea, especially for a large group. 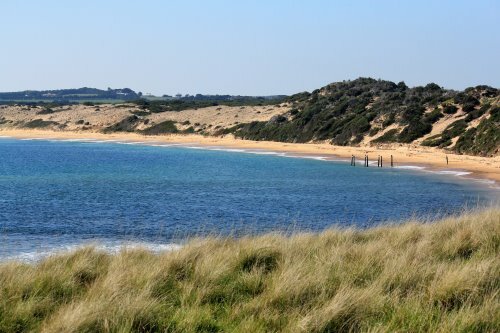 Flynns Beach is another of Phillip Island’s “secret” beaches. Maybe it’s the walk through the dunes to get there but often you pretty much have the beach to yourself. Usually we head towards the old jetty. The jetty was completed in 1928, part of the plan to bring tourists to the new Summerland township for the nightly penguin viewing. There was to be a bi-weekly ferry service from Cowes. A golf course and guest house were also constructed. Various events conspired to bring about the demise of the jetty however, mainly the Depression which impacted on land sales at Summerlands. Of course, Summerlands has now been returned to its natural state with all housing removed to protect the penguin colony. 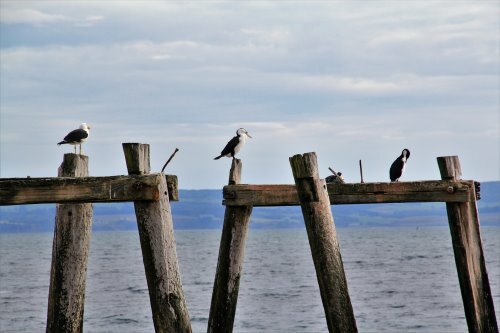 The remains of the jetty still stand however, now used as a resting place for seabirds such as cormorants and gulls. A walk along Flynns Beach is great for beachcombing – look for shark egg cases from Port Jackson and elephant sharks, shells and sea urchins. Enjoy the views across the channel to the mainland. If you have children, visit at low tide as the children can run free along the wide expanse of sand. There are also some rock pools ripe for exploration.